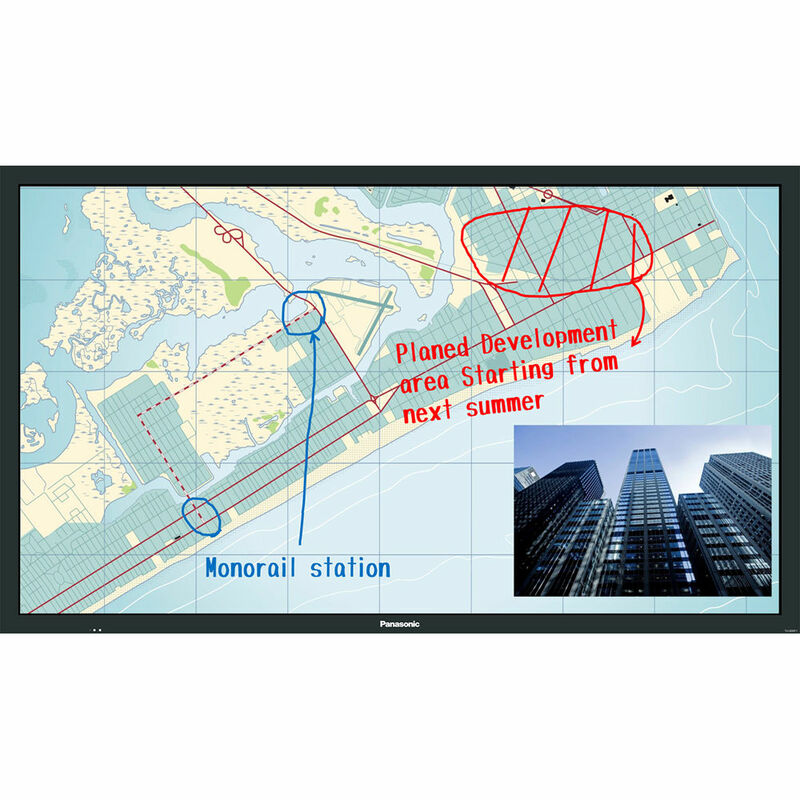 The black 80" BF1 Series Multi-Touch Full HD Professional Display from Panasonic incorporates intuitive touchscreen technology, interactive whiteboard functionality, and wireless connectivity to allow you and your colleagues to work more closely as a team. The built-in whiteboard lets you start working right away, without the need to connect to a PC. When connected to a USB storage device, it can play Full HD videos, still images, and digital documents. The display can connect to a variety of other devices and quickly switch between sources, in addition to allowing for writing and drawing on almost any media. The Color Universal Design feature helps maintain accurate color information for those who have difficultly distinguishing certain color combinations. With Full HD resolution, easy operation, and multi-touch interactivity, this display is suitable for video conferences, meetings, classrooms, presentations, public information, and more. And thanks to the anti-glare screen surface, this display offers clear visibility even in bright ambient light. Box Dimensions (LxWxH) 80.0 x 50.0 x 10.0"